Every business is going to need steady income in order to grow forward. You might think that all of your income is going to come on time, and for the most part this might very well be true. Yet there might come a point where you need to get a lump sum in the door in order to buy more expensive products. Yes, credit might be an option, but what if you don’t get approved in time? After all, so much in business is a matter of getting your timing right on the money. Get your timing wrong and your business begins to fall apart. Despite what you might have seen on television, when a business doesn’t run smoothly it’s not easy to just scrap it and start something else. It’s in your best interest to take every business seriously — that way you will not have any trouble getting things together in a big way. Business finance options are an exercise in true cash flow optimization. When you have your eye on a large purchase, it’s a lot smarter to make sure that you’re going to be able to take care of it than to have to wait to grow your business. By pursuing business finance solutions that let you leverage your receivables in a meaningful way, you’re already going to be ahead of the competition. 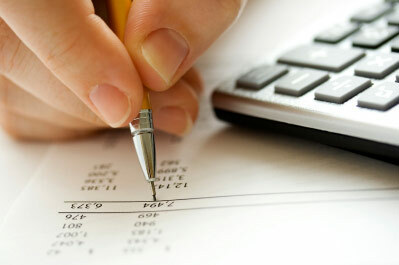 Invoice discounting is a practice that has been around for a long time. You’re basically getting the cash you need to do business by turning over your invoices. The right lender can make this a very straightforward process that doesn’t leave you waiting forever to get your proposal funded. What can you do with a lump sum of cash? Quite a bit. The nice part about business finance that follows your invoices is that you don’t have to worry about collection. Again, the right lender will gladly make sure that you don’t have to think about trying to chase your clients. They will usually leave a bit of a buffer between your invoice total and the amount that you get in a cash sum, but that doesn’t mean that there’s no way that you’ll be able to push forward with your agenda. On the contrary, this push to go into a lump sum type of deal is what’s going to actually lead to great things — why not make sure that you get started today?